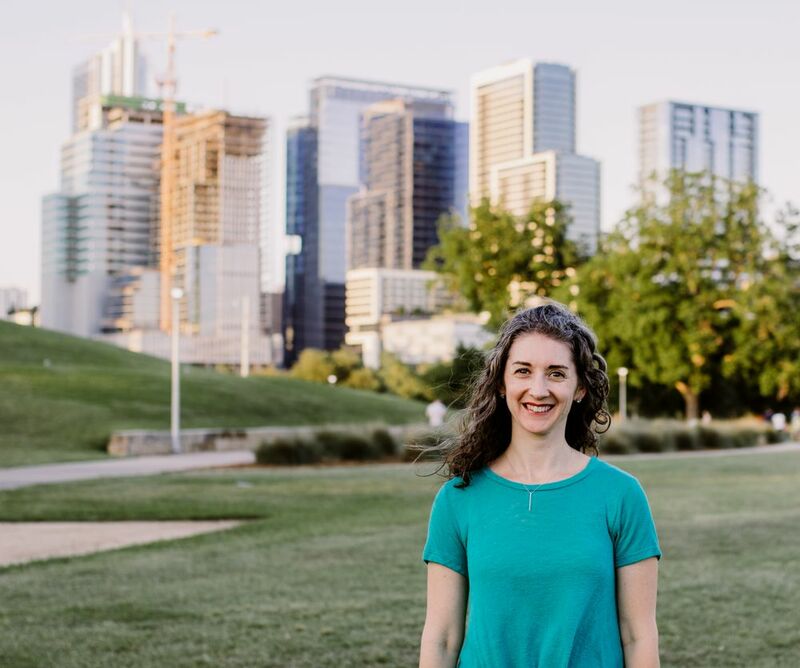 As a busy speech-language pathologist, I am always looking for time-saving resources for myself and the families I support. 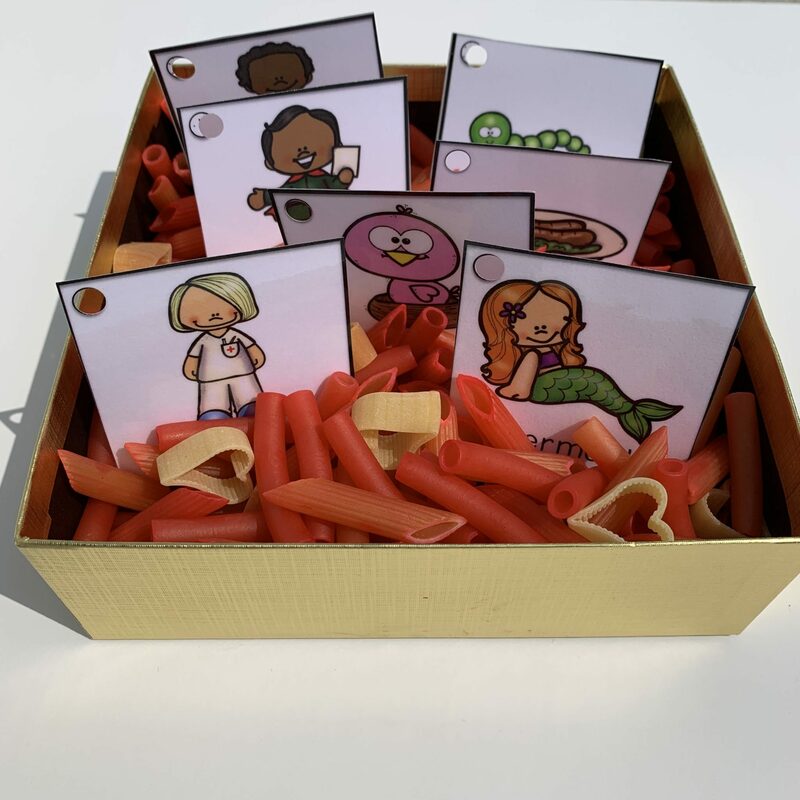 Honestly, there is nothing better than pre-made, high-quality activities that will keep my clients engaged and support their speech and language development. 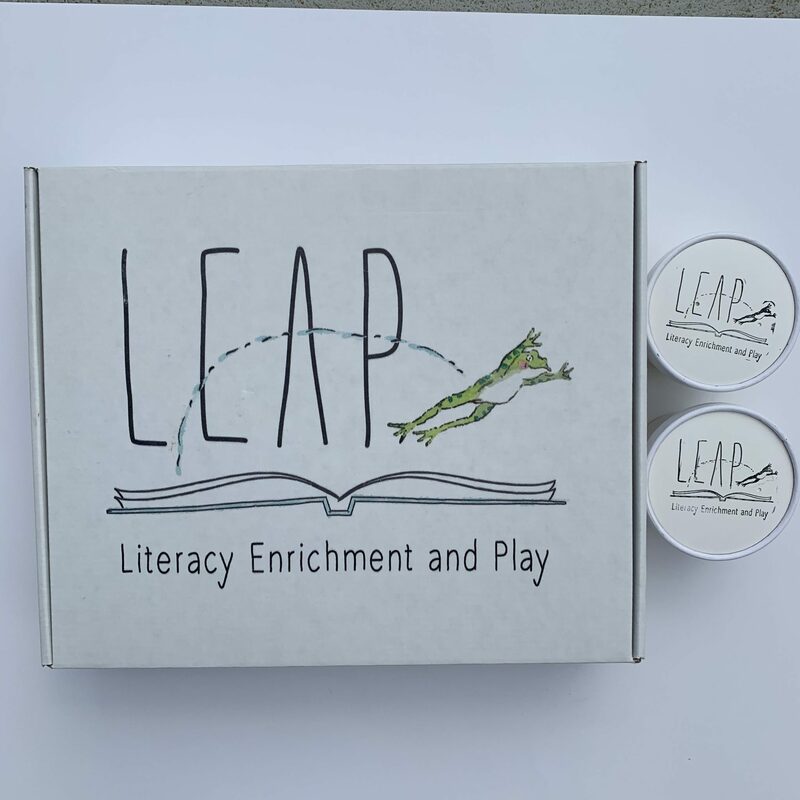 That’s where the multi-sensory subscription boxes from Literacy Enrichment and Play, step in! On their website owners Wesley and Sarah share that, “each month, your child will receive book-themed materials that promote oral language and comprehension, strengthen fine motor and gross motor muscles, build phonological awareness, spark the imagination, and most importantly create a love of literacy.” Your box will include a book, homemade and scented playdough with materials to match the theme, sensory box filler with fine motor tools, literacy skill-building activities, and a comprehensive list of extension activities. 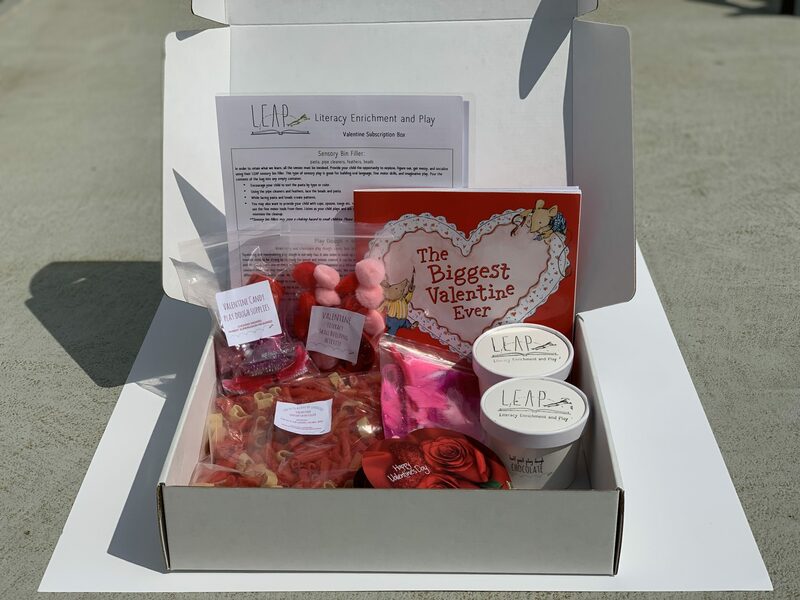 I received a Literacy Enrichment and Play (LEAP) box in February so it was perfect for Valentine’s Day-themed activities. I spent 2 weeks using the contents with the kiddos I serve in my speech therapy private practice. The activities worked well for the kids who were as young as 3 years old, all the way up to my school-aged clients in early elementary school. Some of my favorite activities using my Literacy Enrichment and Play box. The sensory bin: I poured the pasta sensory bin filler in a tub with the smaller items–the pipe cleaners, feathers, and beads. We worked on adjectives or descriptive words to talk about the items the child found. For example, the pipe cleaners were bumpy, pink, and shiny. This activity is also great to support fine motor development. 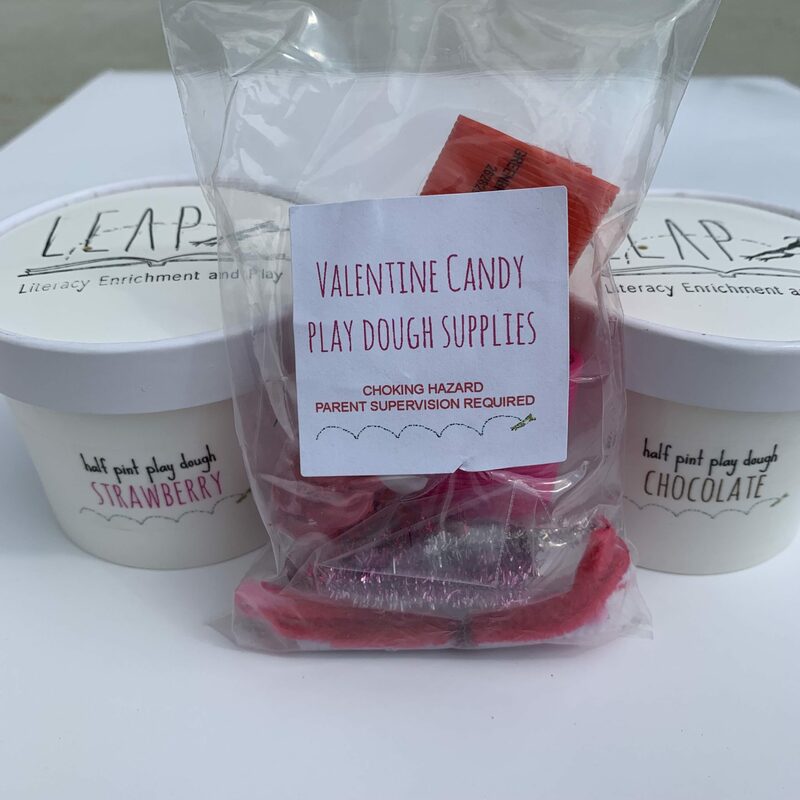 The playdough and empty candy box: My clients LOVED making their own candy out of playdough. I used this activity to help kids with following directions. I gave each child step-by-step directions such as, get the pink playdough and make a heart. Then place the red glass heart on top and put it in the box. Your directions can be tailored to the child’s level. And of course, the kids got to make their own candy and tell me what it looked like. We also worked on imagination and pretend play skills when we “ate” each piece. The book: With some of my clients we worked on individual speech sounds while reading about the characters Desmond and Clayton. This was particularly helpful for kids who need practice with their V sound. With one of my older student, I took an idea from the included extension activities and we made a Venn diagram comparing and contrasting the valentines the book characters make. Children learn best when all their senses are involved. These experiences are multi-sensory. When kids have the opportunity to explore, figure things out, get messy, and socialize we are maximizing their chances of retaining information. 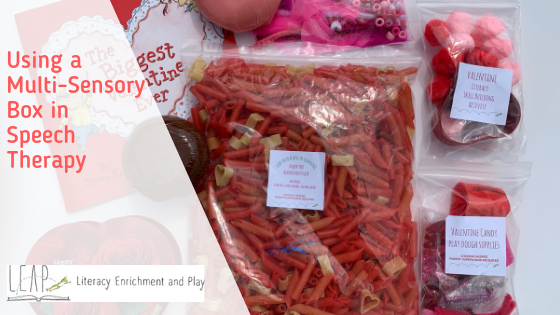 Sensory play is also great for building oral language, fine motor skills, and imaginative play. Making a sensory bin with the materials included in your Literacy Enrichment and Play box one way to provide a multi-sensory experience. The playdough you receive is also a fun tool. Squeezing and manipulating the playdough helps build strength in all the little muscles children will need to be ready for pencil and scissor use. 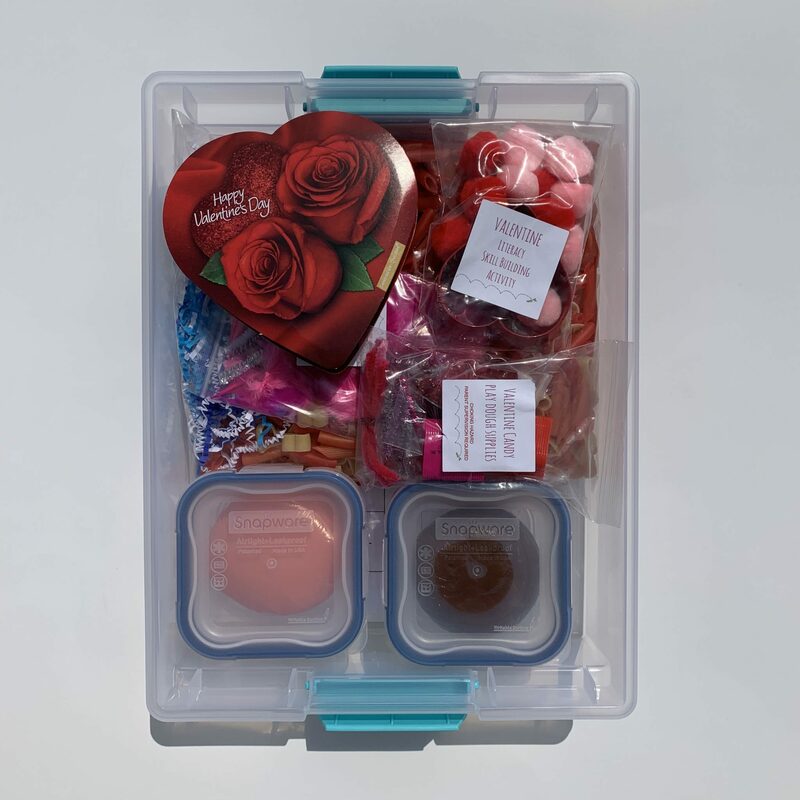 Both my clients and I truly loved the Literacy Enrichment and Play Valentine’s Day box we received. 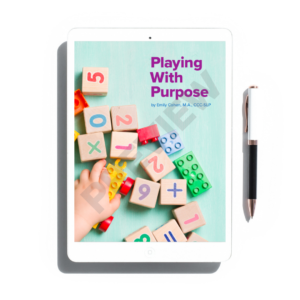 I would recommend this tool for parents, caregivers, teachers, therapists, and SLPs who are looking for support with high-quality learning experiences. Need help with games and activities to support your child's speech and language development? Disclosure: Literacy Enrichment and Play granted me full access to their February box at no charge upon my request. They did not solicit this post or my opinions.